Sunday School classes, for all ages from toddlers to retired folks, were always been offered or available. Bible stories were taught with special emphasis on salvation through Jesus Christ. In the early years of the church, nearly all the participants were children of immigrant parents. At that time, the lessons were taught in the German language which was the primary (perhaps only) language spoken in their homes. 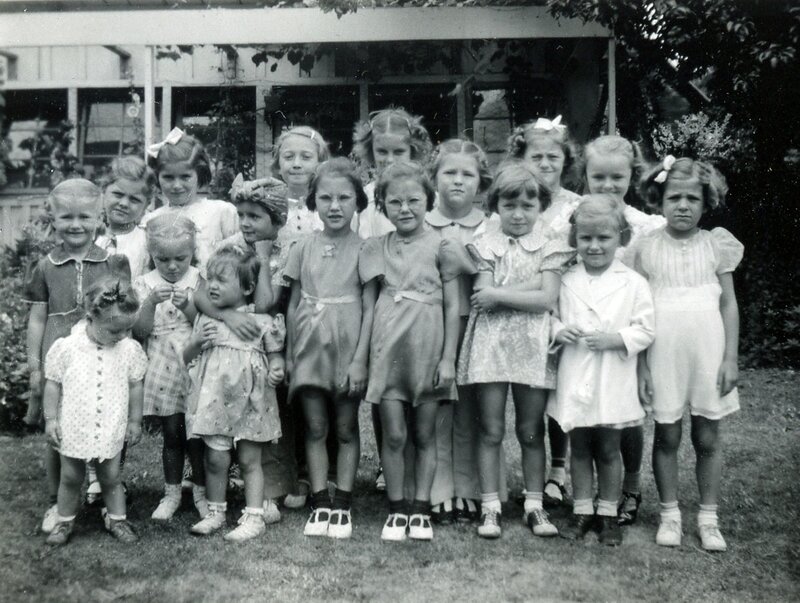 The children of the Second German Congregational Church (Portland, Oregon). Rev. Heinrich Hagelganz is standing to the far right in the back row. Photograph courtesy of Joanne Krieger. Note the front facade of the church reflects an earlier design that was changed later as the building was remodeled. 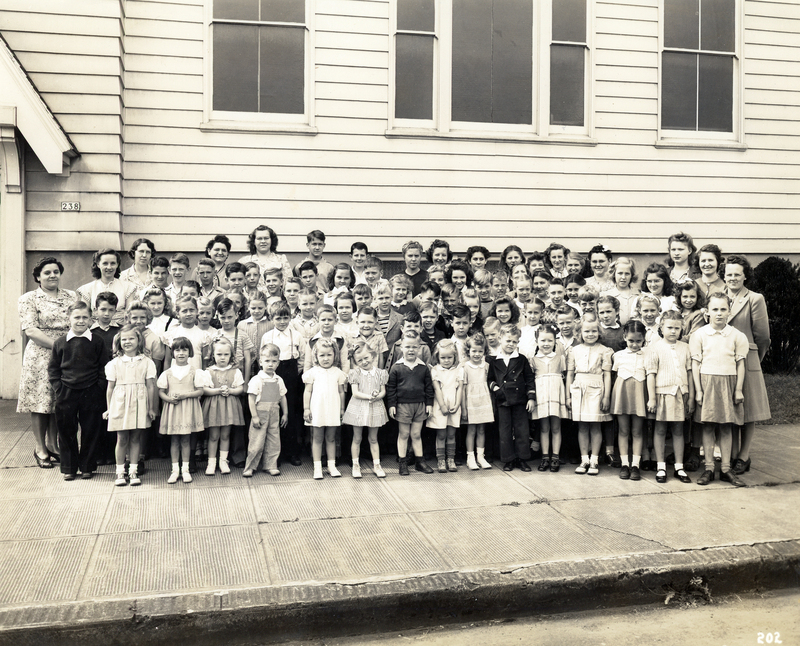 Second German Congregational Church Sunday School Class of 1940 or 1941. Loretta Kammerzell (née Kniss) is to the far left of the second row. Joanne ? is to the far left in the front row. Photograph courtesy of Harold and Loretta Kammerzell. 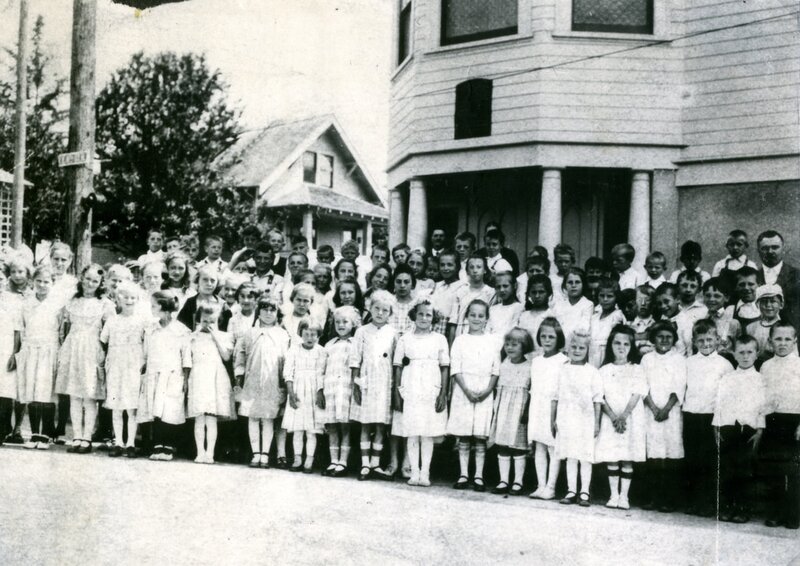 Photograph of the Second German Congregational Church Sunday School Class. Year unknown. Courtesy of Harold Kammerzell. ​Sunday School students gathered together to sing, pray and celebrate birthdays, then were dismissed to the various class rooms. After being taught the lesson for the day, each class memorized a bible verse. The ringing of a bell was the signal to return to the auditorium where each class was called upon to recite the verse they had just learned. 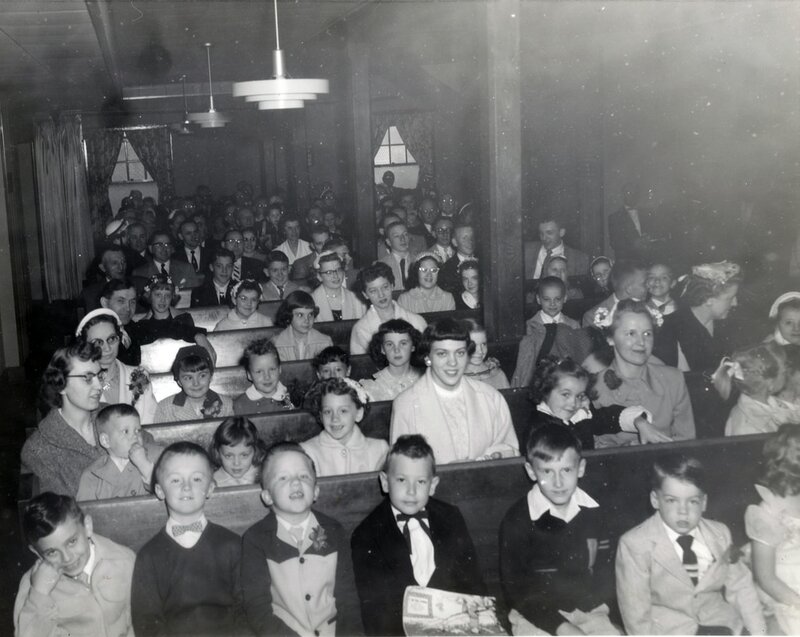 Sunday School class in 1953. Courtesy of Joanne Krieger. 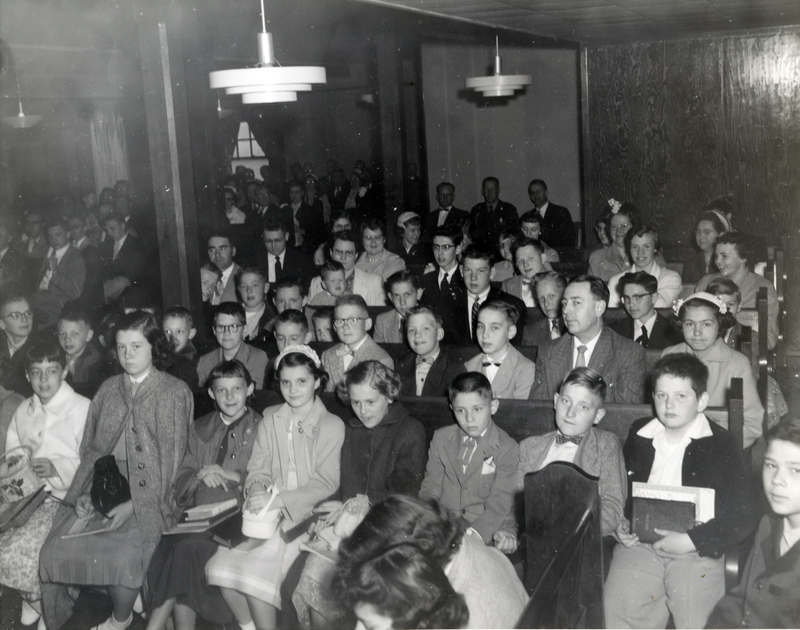 Another photo of the same Sunday School gathering in 1953. Courtesy of Joanne Krieger. Lesson learned in Sunday School developed a base of Bible knowledge that would be expanded and tested during the confirmation process, leading to membership in the church.